European Union shows unity in front of Brexit. European Parliament voted today a resolution to urge UK to withdraw from the EU as soon as possible, while France, Germany and Italy said that no talks with the UK will take place until article 50 of the Lisbon Treaty is invoked. After an extraordinary plenary debate on Tuesday, the European Parliament voted a resolution stating that, in order to respect the wish of a majority of its citizens, the UK must entirely, fully and officially withdraw from the EU as soon as possible, before any new relationship arrangements can be made. MEPs also stress the urgent need for reforms to ensure that the EU lives up to its citizens’ expectations. Yesterday, German Chancellor, Angela Merkel, French President, François Hollande, and Italian Prime Minister, Matteo Renzi decided that there will be no talks with the United Kingdom on leaving the European Union until the Article 50 of the Treaty of Lisbon is invoked by the British government. “We are in agreement that Article 50 of the European treaties is very clear—a member state that wishes to leave the European Union has to notify the European Council,” Merkel said after a meeting in Berlin with Hollande and Renzi. 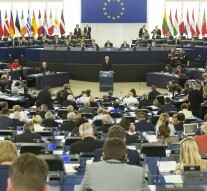 Following a debate between Dutch minister Jeanine Hennis-Plasschaert – representin the EU Council’s rotating presidency – EU Commission President Jean-Claude Juncker and Parliament’s political group leaders, a resolution was approved by 395 to 200 on ways forward after the UK referendum on 23 June. In the resolution, the Parliament calls upon the UK government to respect its people’s democratic decision by swiftly and coherently implementing the withdrawal procedure, namely Article 50 of the Treaty on European Union so as to allow withdrawal negotiations to start immediately. MEPs also urged UK Prime Minister to notify the outcome of the referendum to the European Council of 28-29 June, in order to launch the withdrawal procedure and negotiations as soon as possible and thus protect the Union’s integrity from damaging uncertainty. The resolution recalls that the European Parliament must be fully involved at all stages, since both its consent is required under the Treaties for both the withdrawal agreement and any future relationship. As UK was set to take on the presidency in the second half of 2017, the European Parliament also recommended to change the order of the Council of EU’s presidencies in order to prevent the withdrawal process from jeopardising the running of everyday business of the Union. Parliament will also change its internal organization, so as to reflect UK citizens’ will to withdraw from the EU. Yesterday in Berlin, German Chancellor, Angela Merkel, French President, François Hollande, and Italian Prime Minister, Matteo Renzi discussed next moves to face Brexit. Regret was voiced by all three leaders at the UK’s vote to leave, with Angela Merkel calling it a “very painful and regrettable decision”. The need to process the UK’s exit as quickly as possible was stressed by both Prime Minister Renzi and President Hollande. Both also emphasised that it is necessary to focus on the challenges facing the remaining 27 states such as fighting terrorism and strengthening the borders. “On the one hand we are sad but it is also the right time to write a new page in European history on what unites us,” Prime Minsiter Renzi said. « Previous Article How will UK participate in the Paris Agreement after Brexit? Next Article » What is the role of American elections for the EU?